The hills and mountains that make up this region are covered in trails and camping spots. It would take a lifetime to do them all. We have plenty of tents and sleeping equipment available to rent and we would love to show you our favorite hikes and camping spots. 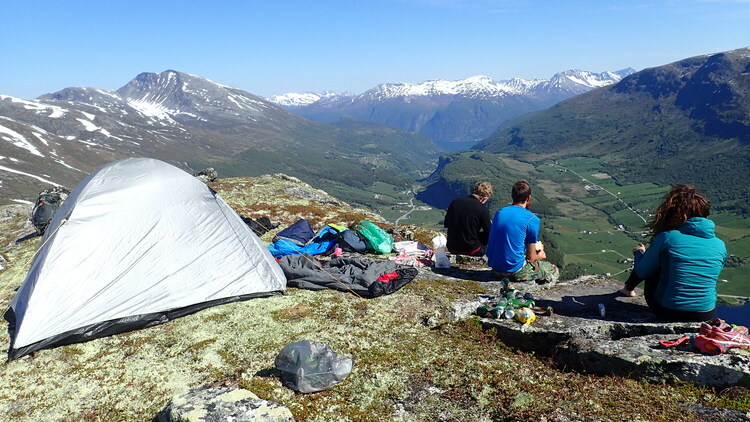 Eidsdal is the perfect start and end point for both single and multi day trips to the geirangerfjord and all through our special mountains.